My favorite tulips are blooming right now. 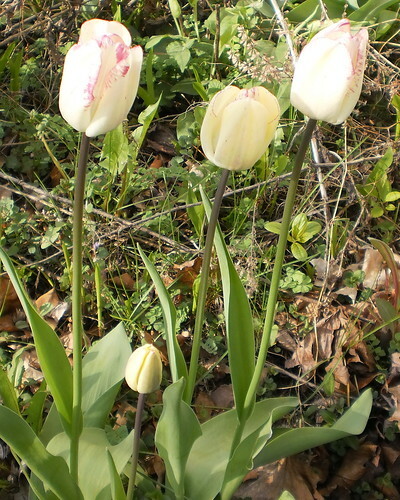 These are Shirley Tulips. They start as a yellowish flower. When they open, they are still a bit yellow, but that yellow fades away to a dazzling white. 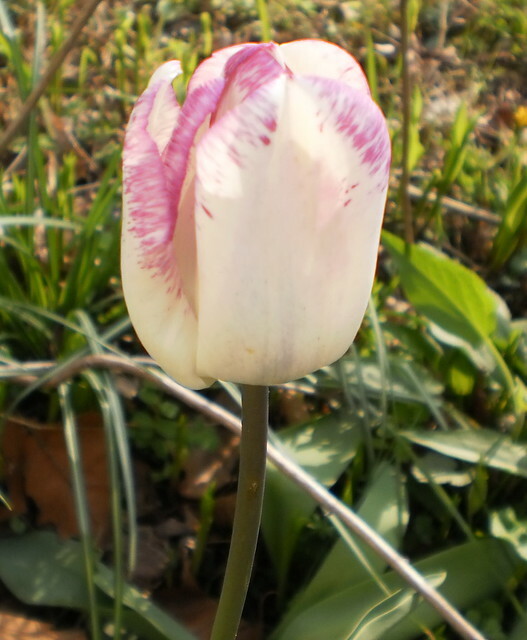 What's extraordinarily special about them is that trim you see on the tulip edge. It's purple. It starts as a thin line delineating the petals of the flower. As the plant ages, the purple expands through the flower until the whole bud is this reddish purple with white instead of the white with purple. I have quite a few in the overgrown bed to the north of the front steps. "Some day", I will dig that bed up, lift the tulips and have more Shirley's the following year. Unfortunately, these don't last as cut tulips. They are made to be enjoyed in the garden. 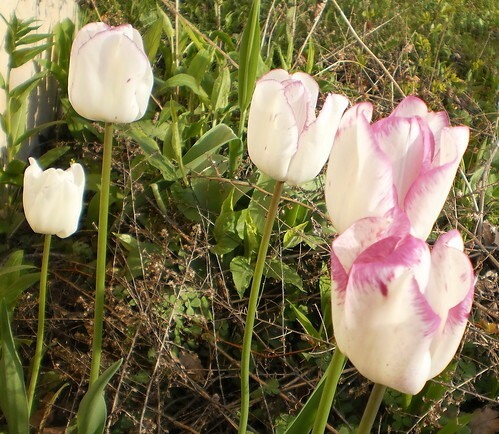 They will often wilt before the complete color change happens or they will go from the white delicately outlined in purple to purple with almost no white overnight. Hence, I leave them in the yard and enjoy them through the living room window and when I come home from work. Soon, it will be lilac time.